After several printed editions of the List of the Birds of Colombia in Conservación Colombiana Journal; ProAves publishes online the same list, reporting 1912 bird species for Colombia, maintaining our privileged first place as the most diverse country in the world in its avifauna. Download the List of the Birds of Colombia in Excel file. This new checklist includes the scientific names of all the species of birds occurring in Colombia, with notes on their status in the country accurate as of December 2014. Consulting upon and updating the list of birds of Colombia is relevant to conservation, involving contributions from the scientific and ornithological communities and enthusiastic birdwatchers. It is important to have an accurate understanding of Colombia’s national avifauna in order to formulate conservation plans and save the last remaining habitats for nationally or globally threatened species. 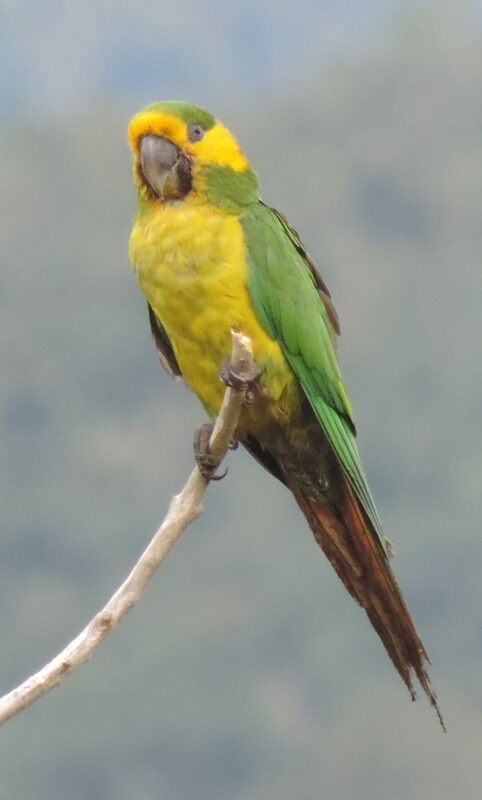 Details of subspecies can be found on the list published on Atlas of Birds of Colombia(https://sites.google.com/site/haariehbamidbar/atlas-of-the-birds-of-colombia) that has updated information and corrections to the second edition of the Field Guide to the Birds of Colombia (McMullan et al 2014).